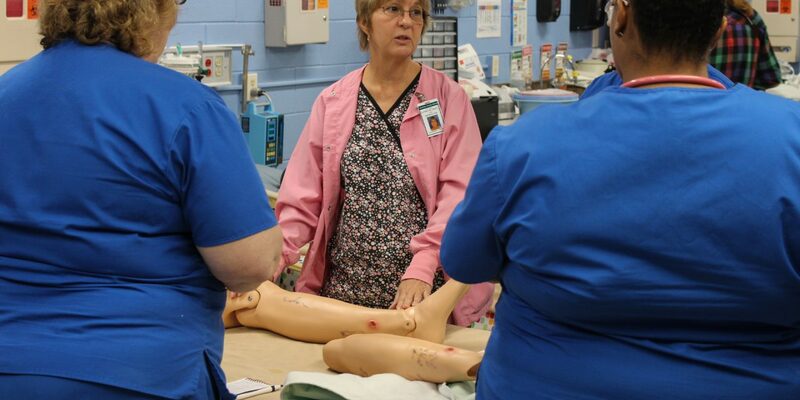 On Friday, September 1, the latest generation of JRTI’s longest-running program, was on site today; the Practical Nursing students were extremely engaged in mannequin exercises. 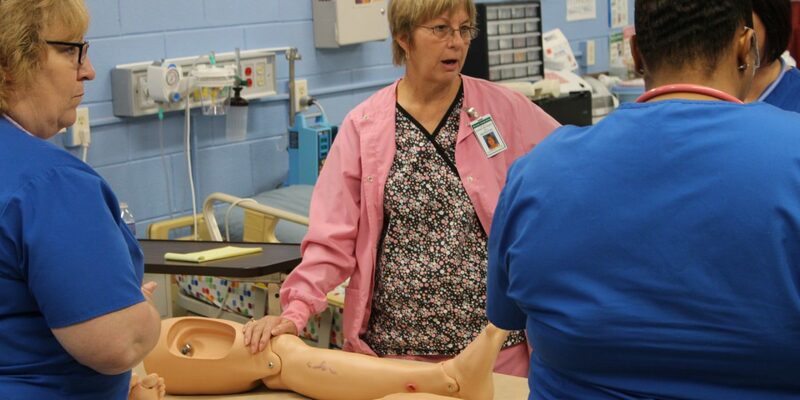 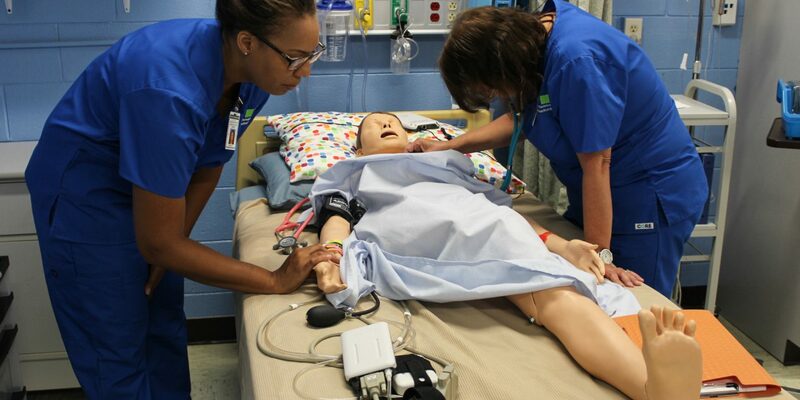 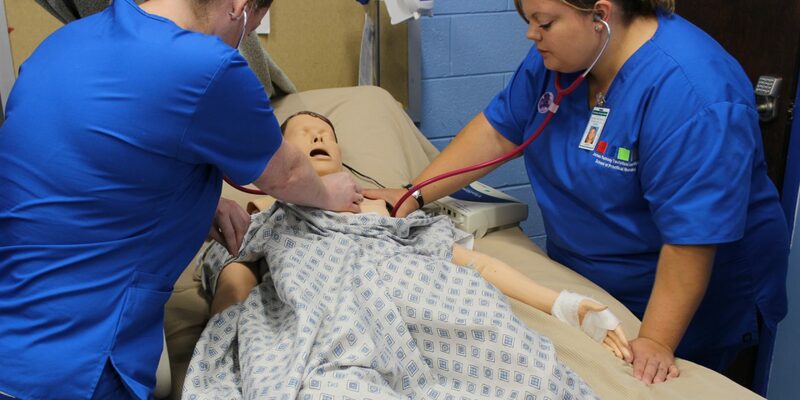 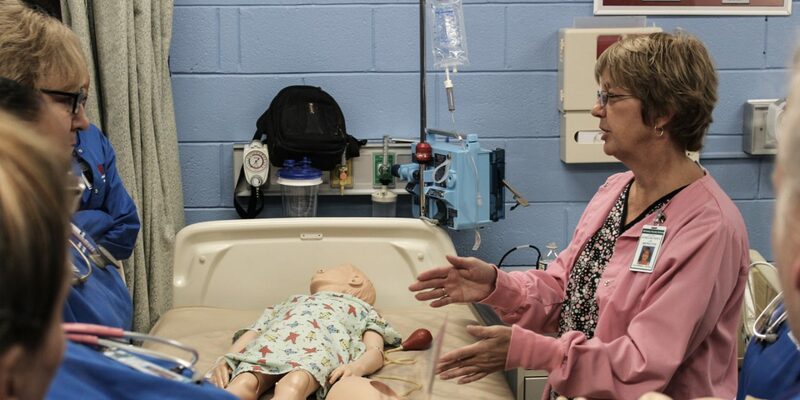 The Practical Nursing course is equipped with mannequins program to replicate certain ailments, allowing students to practice and hone their diagnostic skills in a fail proof environment. 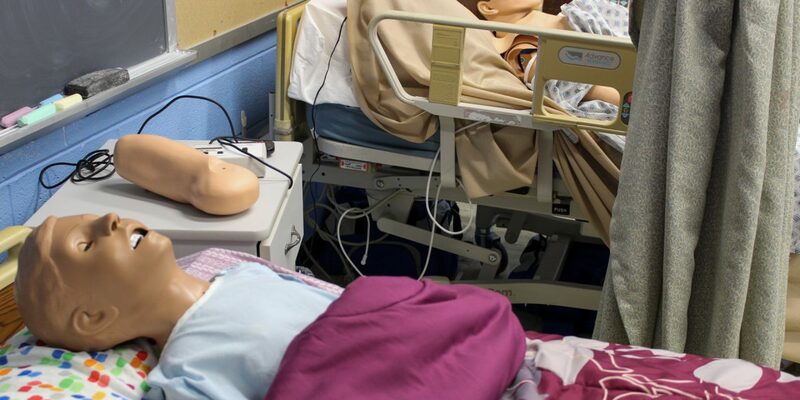 The students are to examine the mannequins, record what they examined and discuss their observations in a collaborative manner with their fellow classmates. 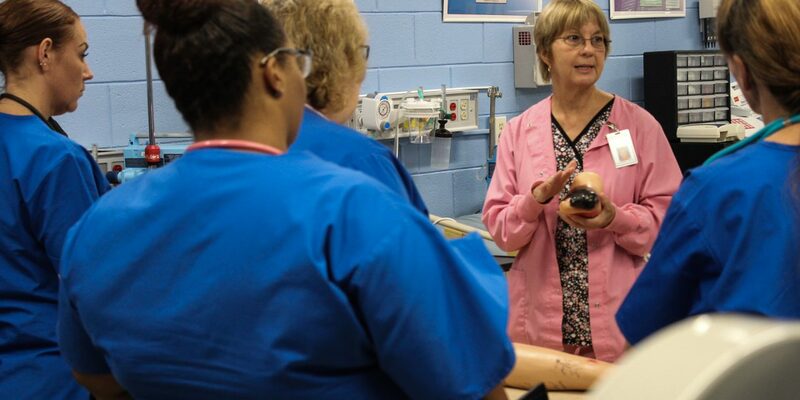 The aspiring nurses learn to perform tasks such as testing pulse, blood pressure, listening to the lungs and calculating medications. 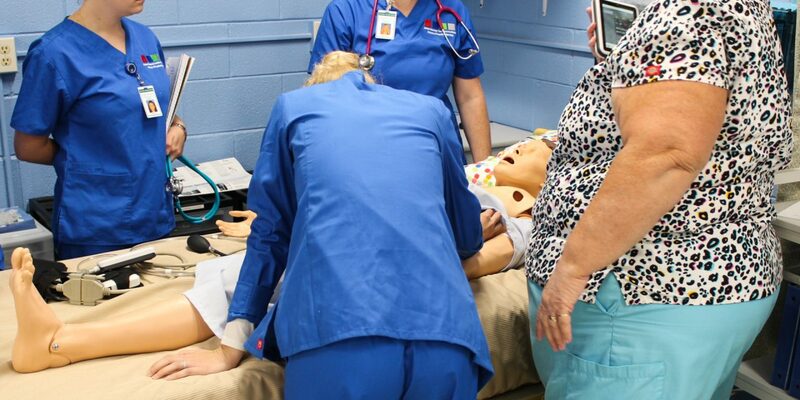 This is a great opportunity to see the students at work before they head to clinicals, which is where the majority of their time is spent. 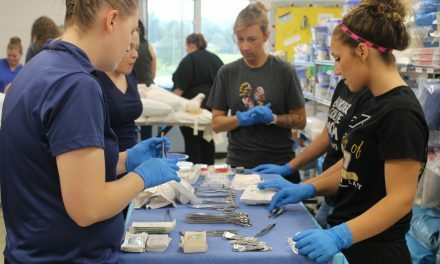 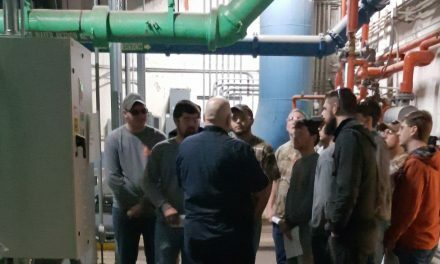 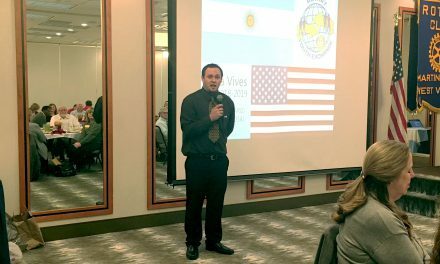 After a discussion with the class, they came to a consensus that the course was “hard work and not for the faint of heart”.